Can children with autism ask Jesus into their heart? Do you know what every love story has in common? A beginning…. Now back to the love story. The greatest love story of all time is the one we share with Jesus. And every one is so unique. This is called our testimony. And Jesus wants us to share this testimony with others so they can come to know Him too in an intimate way. The one question when someone becomes comfortable with me that is asked over and over is, “Do you think my child with autism can ask Jesus into their heart?” WHEN…he is nonverbal? My answer is “Yes”. Let me share this true story with you that helped me realize this truth in scripture. 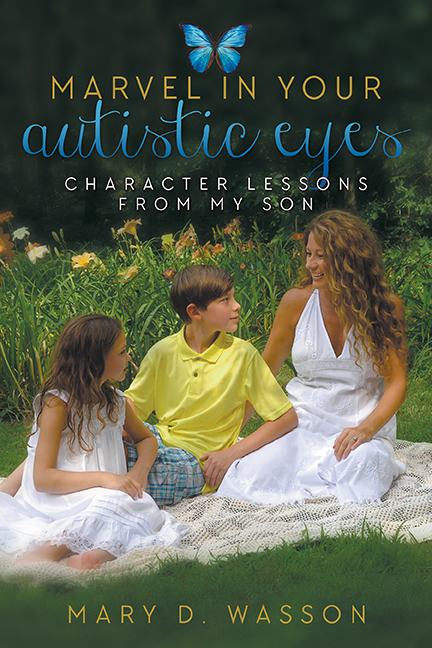 A mother shared with me about her nonverbal son who had autism. She pondered this question many times and now her son was in his early twenties. She began to notice something. When she and family members would visit about Jesus and how He was working in their personal lives, her son would begin flapping his hands in excitement. One day, through the prompting of the Holy Spirit living inside of her, she asked her son, “Do you want Jesus to come into your heart?” She told me, “He became so excited that he almost fell out of his wheelchair as he began flapping his hands so excitedly.” SO, this Mom recited a prayer on behalf of her nonverbal son for Jesus to come into his heart. She knew in these moments that Jesus answered her prayer. Today, she shares this beautiful testimony to show the majesty of how God works. Pray for your child with autism who may struggle in many areas of life like talking or making eye contact. You will one day witness your own powerful miracle that Jesus will want you to share with others. More encouraging stories can be found in Marvel in your Autistic Eyes, Character lessons from my Son and you will walk away feeling more encouraged in this journey with autism. Now these are the love stories I love to hear, don’t you?